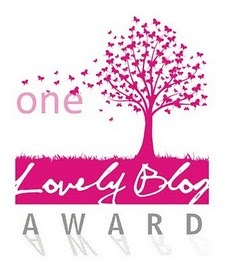 Thanks for Nancy Creative for my very first blog award- One Lovely Blog Award! Don’t you just love the graphic? I am so thrilled to accept this award. Per tradition, I am required to share seven facts about myself not previously shared. This is going to be hard…. 1) My favorite place in the world is the beach. I prefer Gulf beaches to Atlantic beaches. I have never seen the Pacific (unless flying over it in an airplane counts). 2) My favorite movie is It’s A Wonderful Life. 3) I love love love to read!!! And I keep a log of what books I have read and when I finished them. Nerdy, I know. 5) For the first time ever, I do not own a pet. I always had dogs as a kid (as many as 7 at one time). Of course, since I grew up on a farm, there were always animals around. I miss having a pet and am campaigning for my hubby’s consent to get a teacup pig. 6) I started this blog to help improve my writings and cooking skills. I think both are coming right along. 7) I DO NOT PLAY SPORTS! I am completely inept. You do not want me on your team. Trust me! 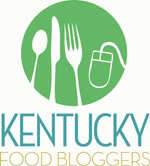 And I must also nominate 7 blogs to which I will pass on the award. Decisions! Decisions! There are so many…. I will give it my best shot! 1) Masako and Spam Musubi– A wonderful blog that combines history, Japanese and American culture, and the joy of family. This is my new favorite blog… You really should check it out! 2) Williams + Bench = Wench – This blog is authored by a lovely friend and describes her adventures across the nation and in her new marriage. Becca is one of the few people I have met who are genuinely kind, good, positive, happy, and a living example of her faith. Love her! 3) Georgia About– This blog is a walk through Georgian culture. I love that each day I get a lesson about the food, beautiful places, or people of Georgia. Very well written with some great photos! 4) Losing 100 Pounds– I love that this blogger has embraced what we all fear- fat! She has taken on her “morbid obesity” with courage and grace. I enjoy following her successes and failures with each blog post. Even if being overweight is not a personal struggle, you can still learn a lot from this blogger as she changes into the person she wants to be. 5) Savory Salty Sweet– Elizabeth does a wonderful job making food/cooking accessible to all. Most of her recipes are healthy, all of her photos are pretty. This is the perfect blog for normal people who don’t have tons of specialty ingredients and tools that often making cooking seem out of reach. 6) Old World Garden Farms– I very much enjoy watching the progress of these 3 acres change from an overgrown lot to a beautiful “mini-farm”. It makes me have hope for my own little 2 acre plot. 7) Portraits of Wildflowers– Every day features a new post containing a gorgeous photo along with the Latin name and a short description about the featured fauna. This is a post I look forward to daily! Congrads! What a cool thing! 🙂 thanks love! Wouldn’t be here without ur inspiration to get started! Congratulations on your well deserved award. How exciting for you. Thanks Karen! I am pretty tickled about it! Ohhh, Anna! You’re blog really deserves it. It has been really inspirational to me — definitely have tried new things! You are a great writer. And you are so sweet. And, geez Beth. I miss all of you guys! Thanks Becca! I am glad we are mutually inspiring… Miss you too!